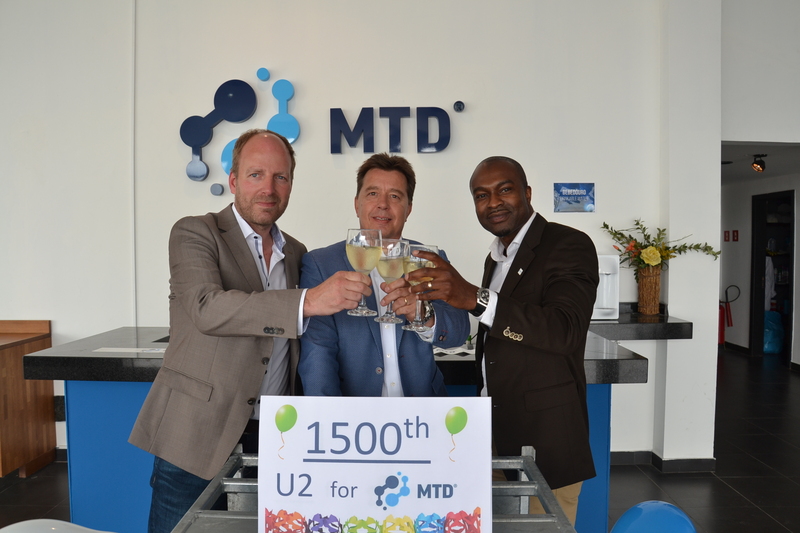 MTD purchased her 1500th U2 pump of manufacturer Homa. 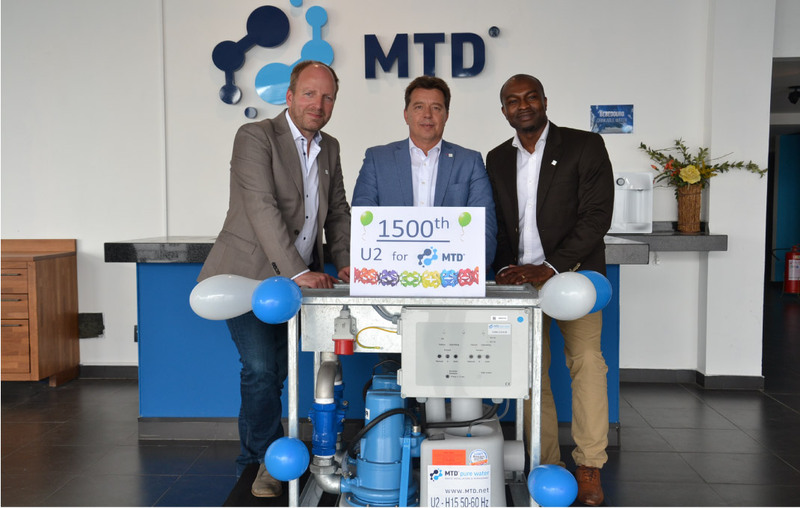 Managing Director Homa, Peter ter Veer hand over the pump to Dion Vissers, Technical Director MTD and David Jones, Fleet Manager MTD. The U2 pump from Homa is the fourth generation of macerating pumps. This indestructible pump was first produced in 1993 and ‘cuts’ the waste originate from toilets. The current U2 pump is a result of sharing knowledge and experience between Homa and MTD. Approximately 700 U2 pumps of the 1500 are installed in Rio the Janeiro this month. After the Rio project the equipment will be divided over the MTD branches. Dion Vissers: “ The new purchased equipment including the new U2 pumps will give the MTD branches a better position to serve all customer requests in 2017. 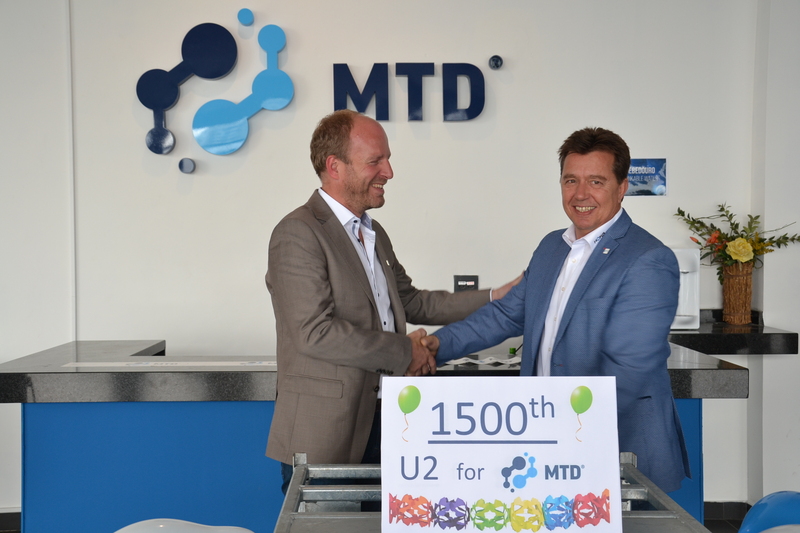 MTD thanks Peter ter Veer and Homa for a more than 20 years relationship and the 1500 U2 pumps. The next milestone for both companies is the 2000 U2 pumps celebration in a few years time.